There’s a big buzz surrounding the rollout of Apple Pay, Apple’s big foray into credit card and general that goes beyond strict purchases from its own popular Apple Store. Users hold their authentic Apple device to the point of sale (POS) system. iPhone users hold their fingerprint to the phone's Touch ID sensor, and Apple Watch users will authenticate by double-clicking a button on their device. As of October 2014, 220,000 participating vendors, including heavy hitters like Macy's, Target, Walgreens and McDonald's have signed up for Apple Pay. Users choose "Apple Pay" as their payment method and authenticate with Touch ID. Groupon, Panera Bread, and Über apps will be compatible with Apple Pay at launch time. Users can add credit cards including Visa, MasterCard, and American Express to the service through iTunes or by taking a photo of their card. For now, Apple Pay will only work in the United States, though Apple plans to expand to other countries shortly. NFC allows contactless transactions between a smartphone and a POS terminal. Curiously, many parts of Europe and Asia have more experience with this technology than the United States but that will change in the coming months and years. Apple’s latest products (i.e. iPhone 6, iPhone 6 Plus, Apple Watch) will include NFC chips and Touch ID fingerprint identity sensors. When consumers store credit card data in the Passbook iOS software app, their identities will be verified at the point of purchase with the Touch ID sensor. Either a series of beeps, pulses or vibrations (iPhone) will confirm successful payment. 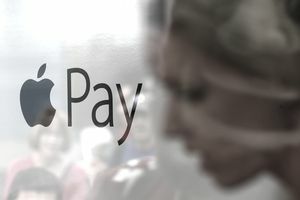 Apple Pay uses encrypted NFC technology to connect wirelessly with merchant cash registers and, for authentication purposes, generates unique security codes, a.k.a. “tokens”, for every transaction. Merchants will NEVER be able to access customer names or their credit card numbers. They won’t have to worry about losing credit card data because they’ll never possess it in the first place. This should apply to online as well as offline transactions. Apple has secured widespread support for the Apple Pay project from banks, major credit card companies, and retailers. Companies like Chase Paymentech, CyberSource (a Visa company) and Wells Fargo have already rolled out software development kits (SDKs) for API integration and offer training sessions for developers and managers looking to get a head start on their competitors. Apple Pay seeks to become the seamless payment method of choice for both offline and online retail transactions. This may prove to be a godsend for , as yet another barrier to e-commerce comes down. So how can you accept Apple Pay on your website? The good news is most online business owners won't have to do any additional work as their online merchant account provider will automatically integrate Apple Pay as a payment option. can now incorporate Apple Pay into their website checkout systems as well as into their business's dedicated application (“app”) if applicable. Details of Apple Pay integration have yet been fully announced. For current iPhone users, Apple Pay is well positioned to be an alternative to existing including the omnipresent PayPal. Small business owners would be wise to contact their primary commercial bank to seek out more information on how to incorporate Apple Pay into their e-commerce platform, otherwise, they may be leaving some money on the table.